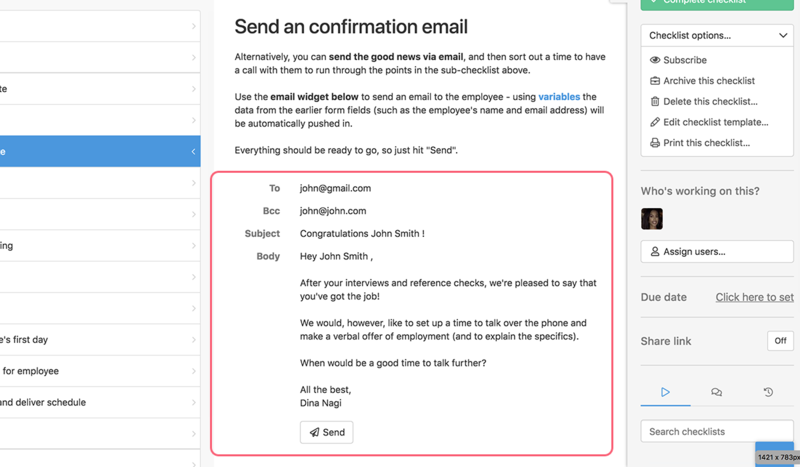 The Email Widget allows us to pre-populate emails into a template that can be sent from within an active checklist. 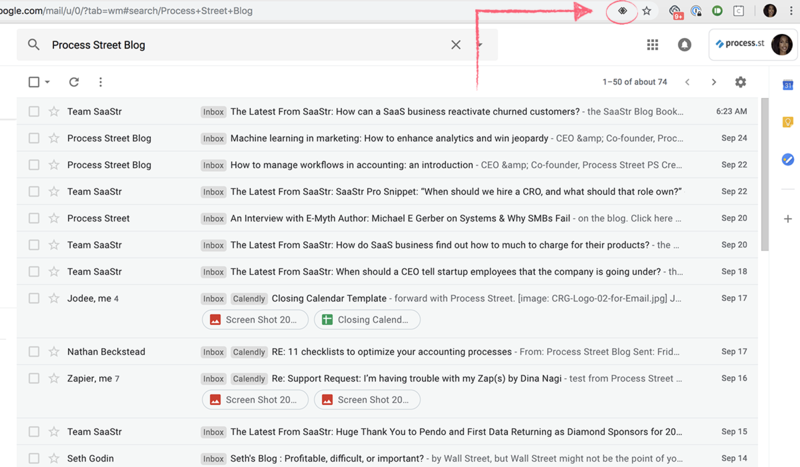 If your ‘send email’ widget isn’t working properly, you’ll want to double check that you are not facing one of these issues. Mail clients such as Outlook, Mail, and Thunderbird work properly with our email widget. If you’re using Gmail, you’ll have to set your default mail client to Gmail if it hasn’t already been set. First, you’ll want to navigate to your search bar while using Gmail. You’ll want to click on the diamond shown below. After clicking on the diamond, select ‘allow’ to allow mail.google.com to open all email links. 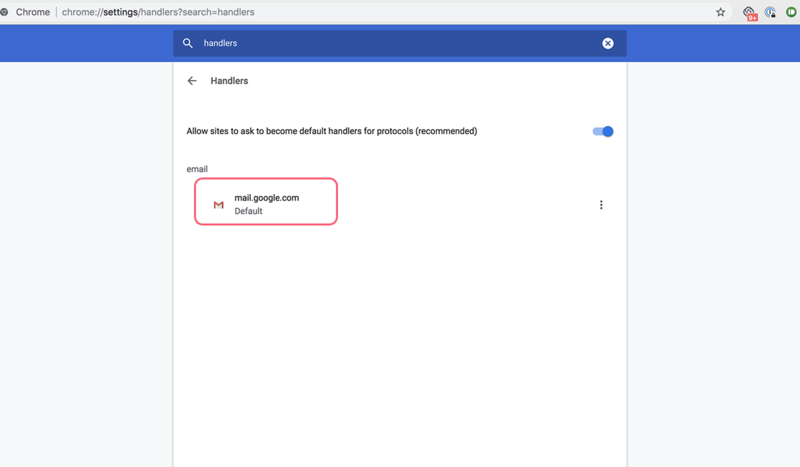 Lastly, navigate to your ‘Handlers’ settings in Chrome to ensure mail.google.com is listed at the default. 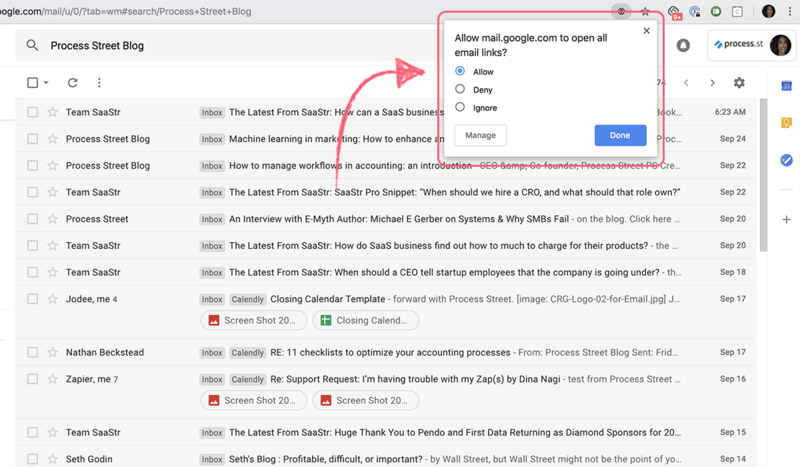 For more detailed instructions on making Gmail your default mail client in Chrome, Safari and Firefox, check out our article here. Another common issue with the email widget is that you’ve exceeded the character limit for your default mail client. Mail clients have between a 1000 and 2000 word character limit (depending on the client). If your email widget contains a lot of text, try shortening your email. If you need an email with more characters, you can use Zapier, which has zero character limitations. You can learn more about Zapier email integrations here.